Remember Altman Camera? This year marks the 40th anniversary of Altman’s closing. Why was it important? Because when it closed in May of 1975, Altman’s was the largest camera store in the world. And Altman’s stocked everything. Not just a lot of stuff, everything. In the days before digital it wasn’t uncommon for photographers to go out shooting with two or more types of film at the same time. For some, it was to give a choice between color or black and white. For others, it was the need for different film speeds. Short of rewinding a film midway through a roll, removing it and reloading, there were two options: carry more than one camera; or, if your camera took interchangeable lenses, carry a single range of lenses with two or more compatible bodies. 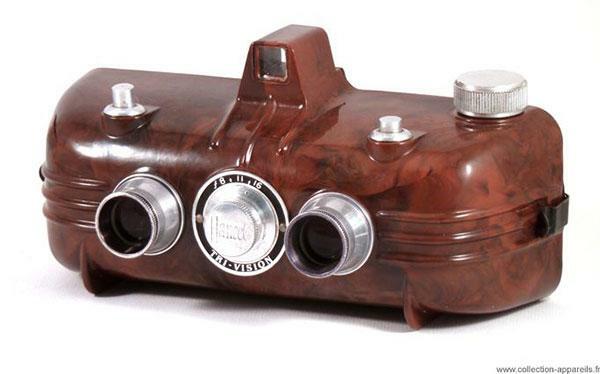 Canon announced today it is commemorating the 80th anniversary of its very first camera: the Kwanon. 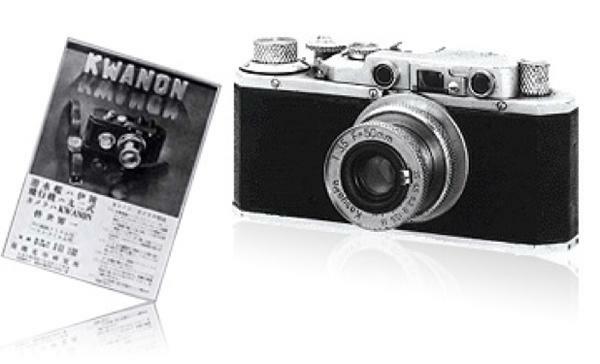 Initially produced in prototype form in 1934, the Kwanon was Japan’s first 35mm focal-plane-shutter camera. 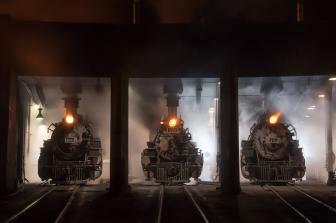 A new show titled A Heritage of Cameras, which shows off some dazzling classic camera models, is currently on view in the Airport Meeting Place of the Lambert St. Louis International Airport until November 30th. 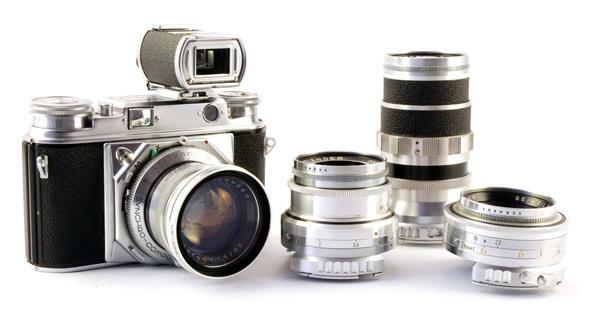 In the days before the 35mm Single Lens Reflex (SLR) rose to prominence, the 35mm viewfinder camera reigned supreme. 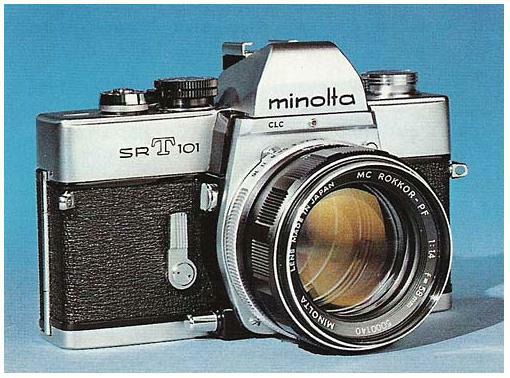 Unlike the reflex viewing system of the SLR, this camera type used a separate optical viewfinder with a slightly different view to that of the lens. 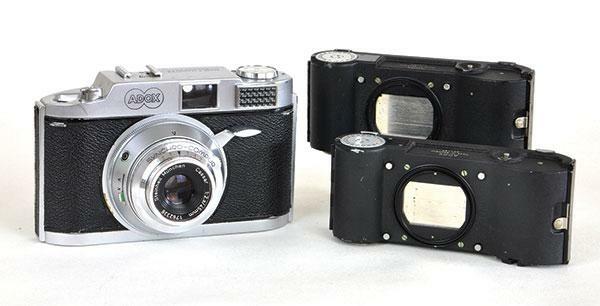 Some featured built-in coupled rangefinders to aid accurate focusing, and many stood at the center of versatile systems of lenses and accessories. 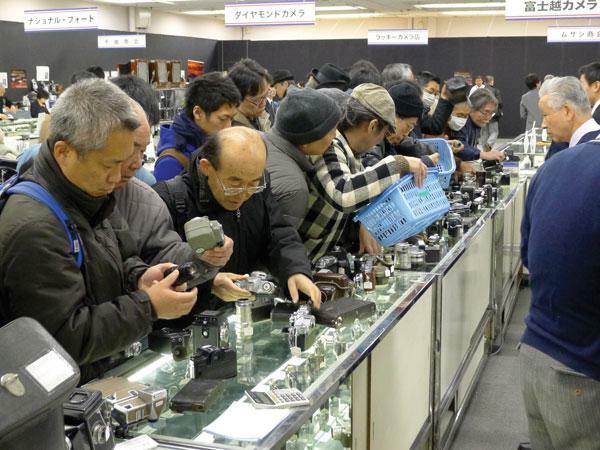 The 35th Tokyo Used Camera Show was held from February 20-25, 2013, in the Matsuya Department Store in Tokyo. Nearly 100 camera fans began a queue at 6pm the night before the opening at 10am, and it was a chilly evening indeed. Upon opening, these were the first people who ran up the escalators or jammed elevators to the 8th floor, the large exhibition hall where the show was held. Their quest? 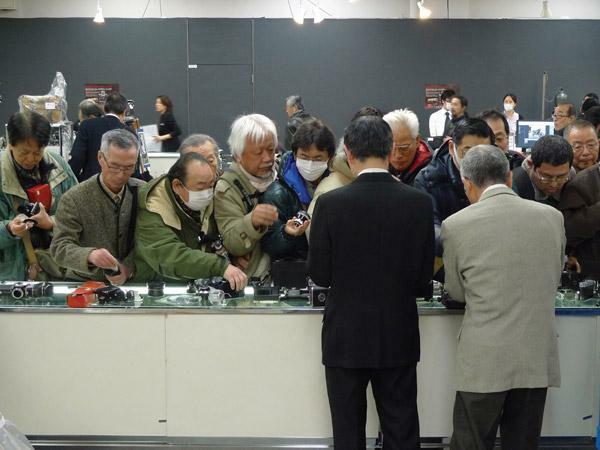 Perhaps to be the lucky man who would grab a rarity like the Leica KE-7A Civilian with an Elcan 50mm f/2, priced at $12,000. 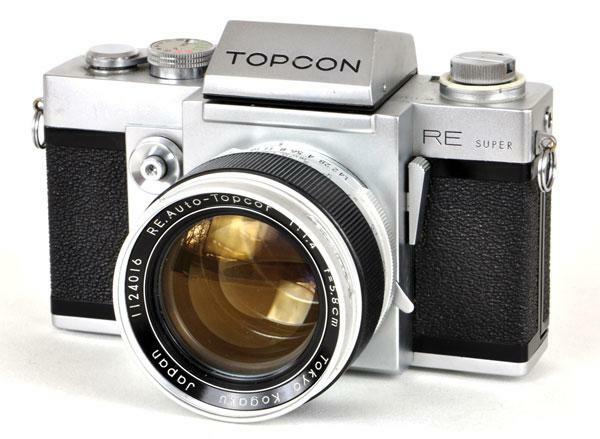 Cameras with built-in meters were not rare in the 1960s, but the problem with camera meters before the Topcon RE Super was that the cell took in a different view than that of the lens. Using a standard lens that was mostly okay, but if a wide-angle or telephoto lens were fitted, changing the field of view and the part of the subject needing to be accurately metered, it was a different matter. The Twin Lens Reflex (TLR) design involved two lenses, one to record its image on film, the other to reflect its image to a focusing screen. 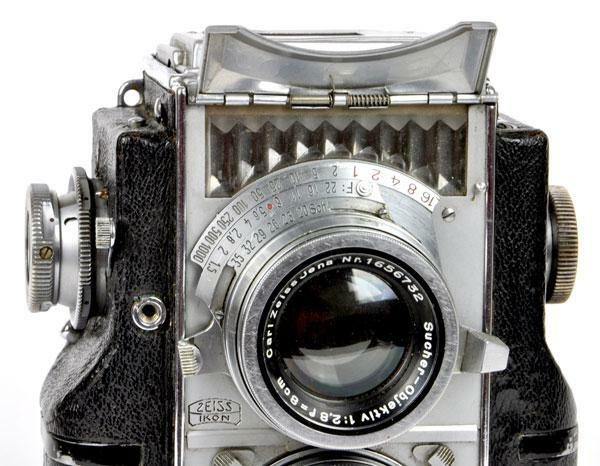 The style dates back to the days of plate cameras, but came to the fore with the launch of the Rolleiflex in 1928. 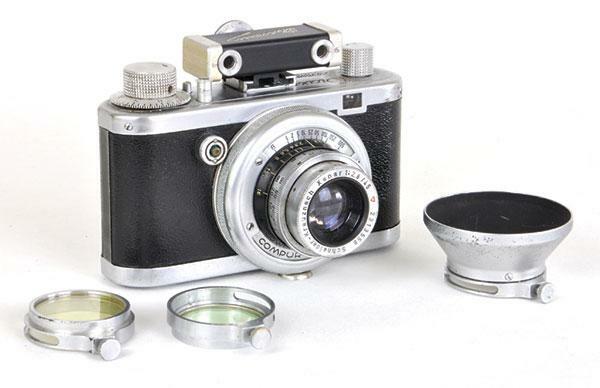 The Voigtländer Prominent was one of the most sophisticated cameras of the 1950s—also among the most complicated, and just a bit eccentric. 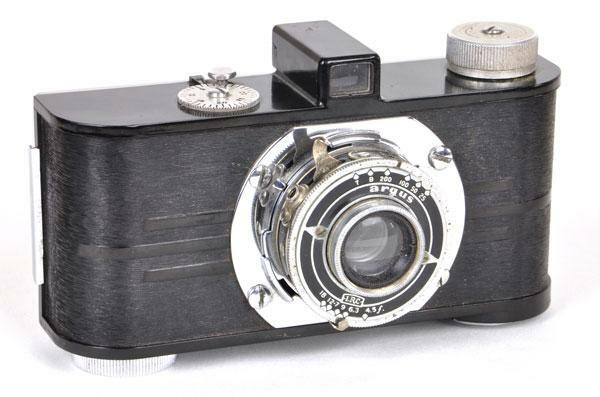 It was launched in 1951, a time when 35mm rangefinder cameras were at their peak. Yet it anticipated the approaching popularity of single lens reflexes by offering devices that converted it from rangefinder to reflex use and surrounding itself with interchangeable lenses, viewfinders, close-up attachments, filters, and other accessories that made it a true system camera. Making panoramic pictures in the digital age is easy. But it’s a lot more fun to use classic panoramic cameras, many of which can still be bought and used today. 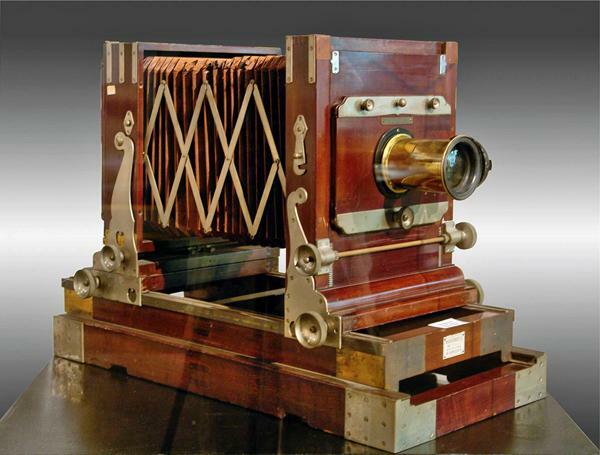 The first panoramic camera was the Megaskop, made in 1844 to produce daguerreotypes on silver-plated copper plates, 4.7x17.5” wide. 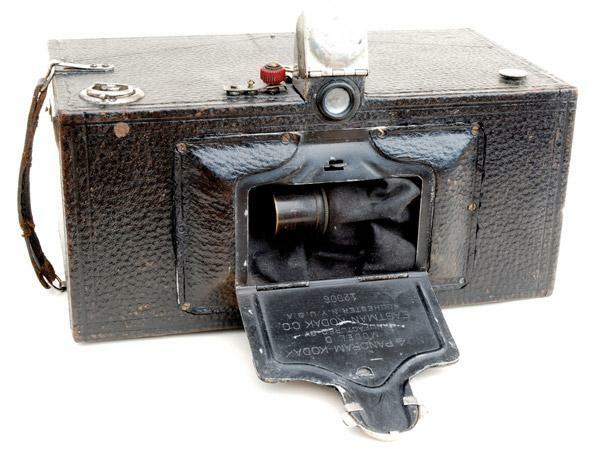 Later, there were Cirkut cameras, made first by the Rochester Panoramic Camera Company in 1904 and later by Kodak. These cameras were, and still are, used to produce super-wide school or sports club pictures. As the exposure was made, a clockwork motor rotated the camera on its tripod while inside the film traveled from one spool to another, past a slit at the focal plane.